Just the voice of temmie. Nothing special! Hoi! I'm tem! Hed to da tem shop for temmie flakes! 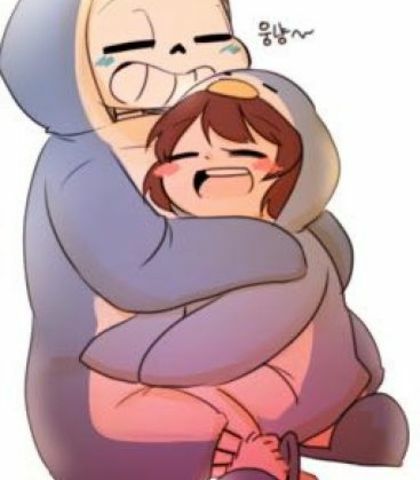 Sans, did something happen while you two were out? I'm the one with the degree. Uhhh kiddo? What's that cat like thing waving at us? hmmmm I can't come up with any ideas.